Donna’s hard work and determination paid off with great results! We wish Donna well and hope to see her again in the near future. 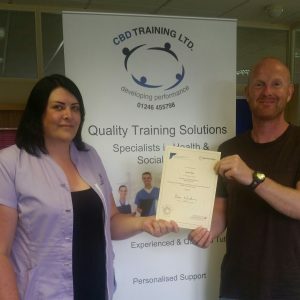 Donna is pictured with her Tutor Andy White receiving her certificate.